With one of the true stalwarts of the UK music scene, T In The Park, taking a break this year, Scotland was in dire need of something a bit special to feast its ears on this summer. 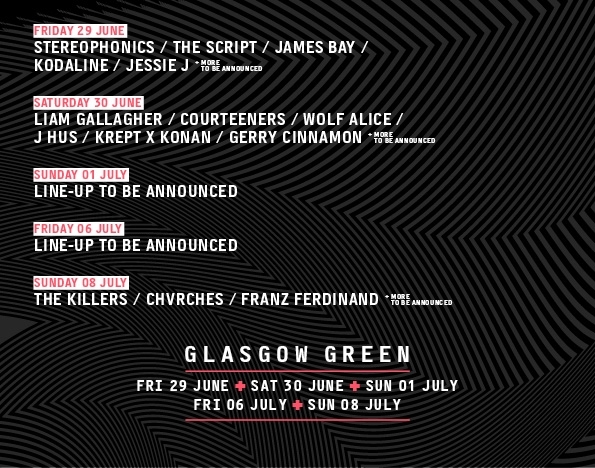 Enter TRNSMT, an inner-city festival taking place in the UK’s third largest city at Glasgow Green. With its first names announced for 2018, TRNSMT will see Stereophonics, Liam Gallagher and The Killers take the headline slots on the 29th, 30th June and 8th July respectively. They will be accompanied by The Script, James ay, The Courteeners, Wolf Alice, Chvrches, Franz Ferdinand and many more still to be announced. 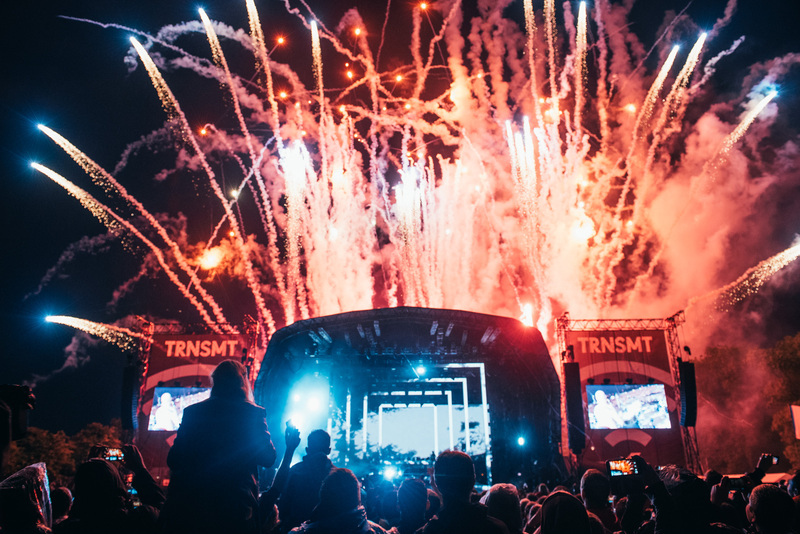 Kicking off its first year in true style, TRNSMT secured massive headline sets from Radiohead, Kasabian and Biffy Clyro. Joining the party were also the likes of Belle and Sebastian, London Grammar, The Kooks, Stormzy, The 1975, and Two Door Cinema Club. TRNSMT’s arena is located in Glasgow Green – a huge park which is home to the stunning People’s Palace & Winter Gardens – just to the East of the city centre. Also, a short walk away is the charming Barras Market, which is adjacent to the famous Barrowland Ballroom. Away from the immediate East end surroundings of the Green, Glasgow is a thriving city of culture and music. There are so many things to see and do to make the most of your time in Scotland’s biggest city, including: indulging in the artwork and architecture of Charles Rennie Mackintosh; visiting the Hogwarts-esque University; crawling your way down Sauchiehall Street; or simply exploring the plethora of music venues and open mic bars hidden around every corner of the city. Tickets for this year’s edition of the festival are now on sale from £250 for 5-day tickers, £155 for a 3-day ticker, or £59.50 for single day tickets. For more info, tickets and everything else visit the TRNSMT website.